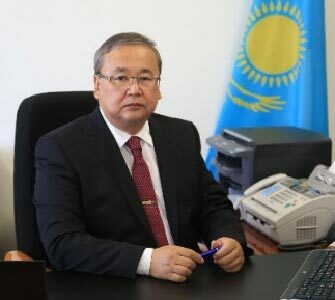 Director General of RSE “National Nuclear Center of the Republic of Kazakhstan”, Doctor of Physical and Mathematical Sciences, Professor. E.G. Batyrbekov is a nuclear physicist, recognized specialist in in-pile experiments and nuclear energy conversion to optic radiation. He is experienced in operation of research reactors VVR-K (INP NNC RK), TRIGA (Illinois University, USA) and IRT (MIFI, Moscow). Expert in military conversion of Semipalatinsk Test Site (Nunn-Lugar Foundation). List of his publications comprises over 100 reports in nuclear power engineering, nuclear energy conversion and physics of nuclear-excited plasma, including one monograph “Physical Problems of Lasers and Space Nuclear Propulsion Plant.